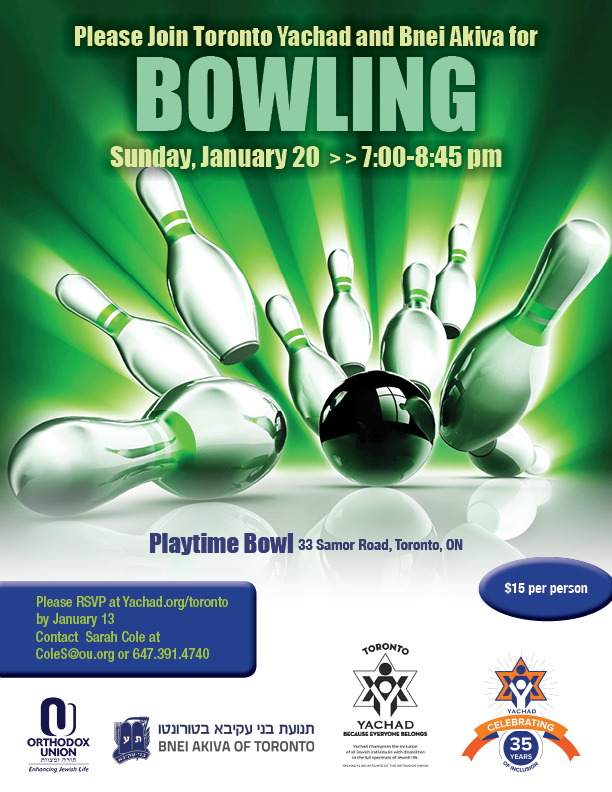 Join Toronto Yachad and Benai Akiva while we have an awesome fun night of Bowling! Where? Playtime Bowl - 33 Samor Rd.